Insurance Father Academy is where you can learn about the art of insurance business. 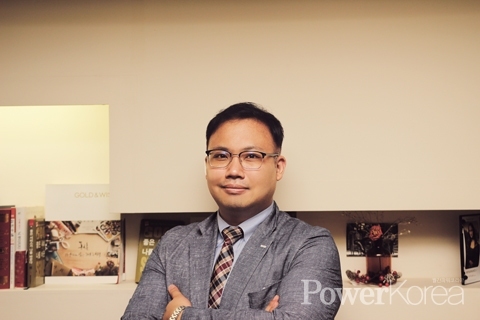 CEO Lee is a veteran insurance planner who has a near 20 years of experience in the field and is now sharing his knowledge and knowhow with prospective insurance planners through e-mail, online club, blogging and various SNS-based training. Lee wanted to be a teacher since he was a school boy and studied at a teacher’s college. But the limited number of recruitment turned his eye to something practical and steady and it was insurance. Instead of the common offline insurance sales, he focused online in which he made a great success by making the most of his talent in teaching and of his confident attitude of life. At Insurance Father Academy, you can learn all the insurance skills and systems Lee has built covering from finding your clients to persuading and selling. Using an online club, for example, Lee delivers his knowhow on how to do business to the members of the club including opening your own club. A blog, for another example, he unveils his secret how to make your blog in top search results while he also give various tips on using e-mail and other SNS platforms. Lee points out the importance of ‘image marketing’ as it significantly affects online activities nowadays. For the maximum effect of the class, Lee limits the number of students around 5 to 10 per class or you can arrange a face to face consulting depending on your need. “In fact, insurance sale is one of the hardest jobs in the sales industry. It is notable that around 70 to 80% of them leave the job within a year of starting their career. “However, once you are on the track, you can surely earn more than average salary men in other fields” says Lee. Just one click can draw thousands or tens of thousands prospective clients and you can possibly earn 6 figures if you carefully follow step by step guide of the training system Lee built. “You do not need to depend on your family members or acquaintances to start with but you can make a success if you are ready to challenge and work hard.” Lee said that he felt rewarded whenever his students draw a great result after the training and he is ambitious to continue his expertise in insurance sales training to various other sales fields in near future.